Slowly to the top. 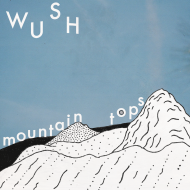 The new album “Mountain Tops” by Orlando based lofi producer Wüsh is a musically hike, where the journey is the reward. Enjoy a relaxed walk through beautiful nature, take a rest on the lake to see the sunset, light a fire for the night and finally enjoy the great view over the valley. Always accompanied by delightful sounds and a variety of drums while the music matches the trip: From uptempo in the morning to a slowjam after a long day of walking. Enjoy the hike!